The Blind Spot Information system in your Volvo XC60 actually was designed to increase your visibility behind your vehicle as you travel on busy roads. 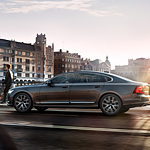 Safety is at the forefront of every Volvo design, and the popular luxury sedan model Volvo S90 creates an appealing mix of finely tuned road performance, stylish lines and innovative safety features under one roof. The Volvo S60 is a luxury class sedan that has developed a fan following for those who want a little more from their vehicle. This compact luxury sedan wraps you in amenities that let you know you have arrived. 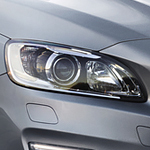 Let’s take a look at what Volvo has to offer.